The range was created after an independent review by Kepak of bars in the greater Dublin area revealed pub owners believe food is the second most profitable part of their business. According to Euromonitor International 2017 by Mintel, Bord Bia & Technomic, pubs have 17% of the foodservice market within the Island of Ireland. Hospitality Expo 2018, the Irish Hospitality Industries Exhibition, will be held at the RDS from Tuesday, February 6th to Wednesday, February 7th. 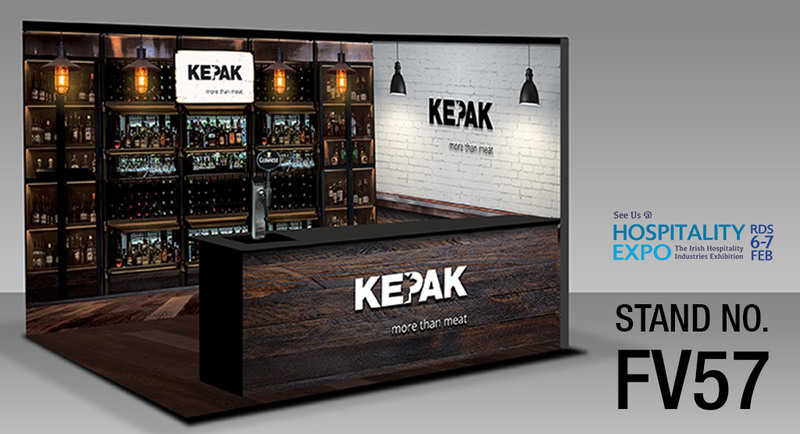 Visitors to the Kepak Foodservice stand FV57 can sample and enjoy the new range of products along with a Guinness.